The right solution. At the right price. 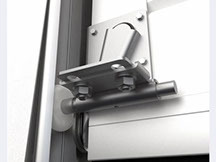 Davie Garage Door are the experts in Garage Doors installation and repair and Automatic Openers for Garages. We supply, fit and maintain quality residential garage doors in Davie and the area. Our technicians have been trained and know how to get the job done in an efficient and effective way. Not only will they install your new door, they will also help you maintain it to ensure it keeps doing its job beautifully for a long, long time. In Davie Garage Door we have a wide range of different styles and colors of Residential garage doors available, as well as a choice of materials and operating mechanisms. We will supply and fit any type of garage door to suit your individual requirements. to make getting in and out of your garage more simple and safe. Repair services are among our top specialties here in Davie Garage Door. With plenty of experience under our belt, Davie Garage Door can easily identify any type of problem your garage door might have, and work to fix it without any trouble. 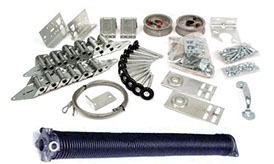 Our technician in Davie Garage Door company are capable to fulfill your garage door springs replacement needs. Please note that Springs are dangerous and so should not be replaced or repaired by the homeowner. 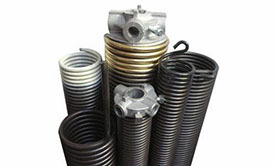 Our trucks come fully equipped with various types of springs in diverse sizes. We never leave the commercial site or home until we make sure our customers are happy with the finished product. Call Davie Garage Doors today at 954 417- 6267 to schedule a free consultation or emergency repair.